Lynne Dibley at the May 2017 Chelsea Flower Show in front of their Gold Medal winning stand. Our generous hosts for CGT's latest Events visit on 10th May, Dibleys Nurseries specialist for indoor plants, have continued on top form by winning their 28th Gold Medal at Chelsea May 2017, well over 150 RHS Gold Medals in total, plus numerous other awards and accolades. 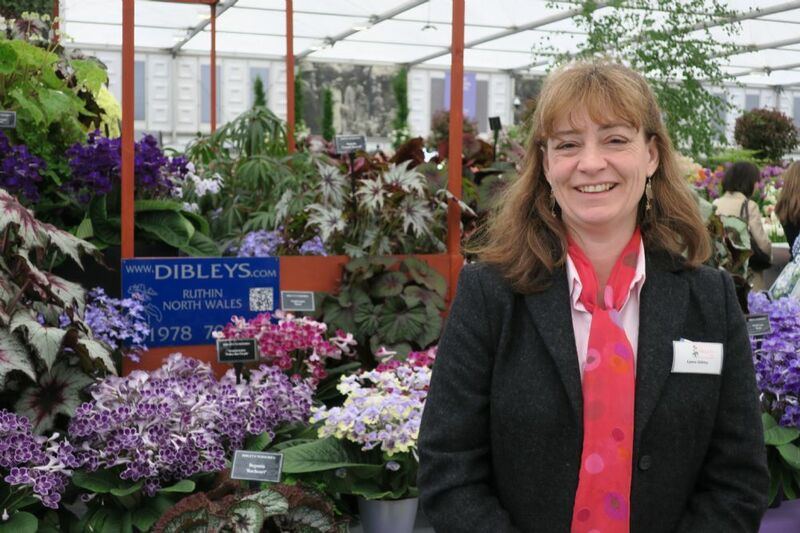 Rex Dibley started the nursery as a hobby in 1976 and was later joined by his son Gareth and daughter Lynne. Congratulations on a splendid achievement.